I challenged the treadmill and won. 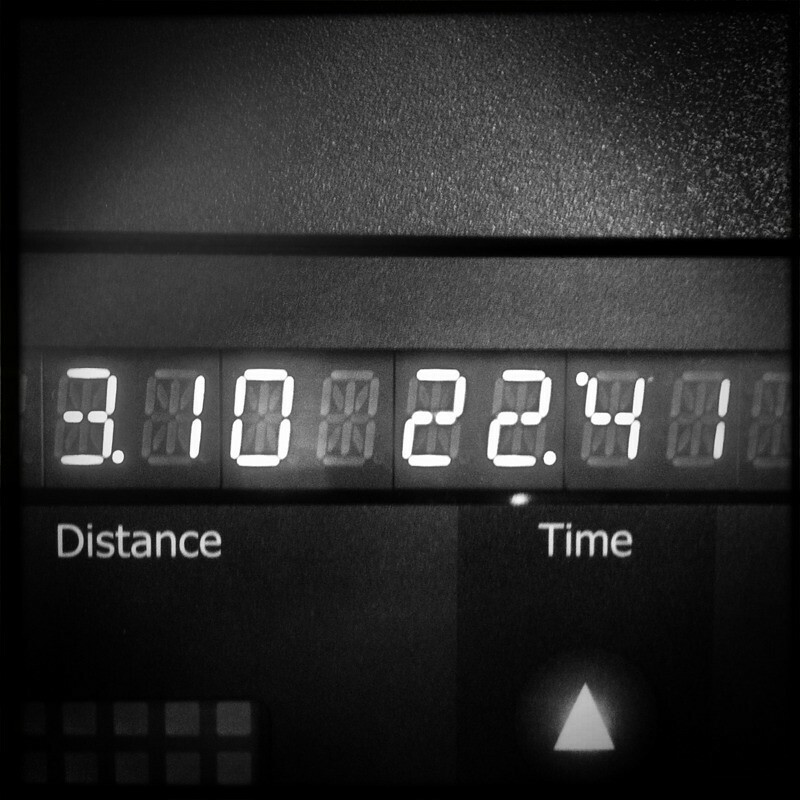 Had to do a 5k time trial for the marathon training. The only way I was going to quit was if I got thrown off. you can replace it! Keep it up!!!!! Hey! Nice job on your run :). My HS XC PR is right about 20:30 or something too! As for hanging out in Chicago, sadly I'm not doing it this year. I did it in 2009 and loved the race (it might be my favorite?). My ex now lives in Chicago, and if I came I'd probably try to key his car or something so it's probably for the best I'm not running. =) (TMI hahaha i know). That is awesome! You are going to rock Chicago! Impressive 5K! I think you definitely can replicate that outside. I bet you will get even faster as you go along with marathon training. lol on the whoa nelly caption! I put those words on my race bib for the San Diego half marathon race this Sunday that I can't do, the race allows you go pick words to put on your bib which is pretty cool. Seems like making sure shoes are not worn out, icing and some rest are the main recommendation. For your pain in your calf, do you have a foam roller? I have a GRID foam roller and love it. I use it to foam roll my IT band, front of quads, calves and hamstrings. You may want to use a foam roller on your calves to see if the knot starts to loosen up. I bet it is just tight. Just make sure your back leg that is being stretched is pointed forward so that it stretches correctly. A sports massage might also be a good idea to try to loosen up the knot, I need to get one of these too, it might help. The Brazen series does sound interesting, the trail races do sound good. great time! Just think what you could pull off with the old race adrenaline rolling through you! I did CC in high school too, though my times were never that fast. I didn't play a good mental game then and gave up to easy I think. Kids made me tougher lol.